The numpties blogging before dinner on Friday for the second time in a month. That really takes the biscuit! 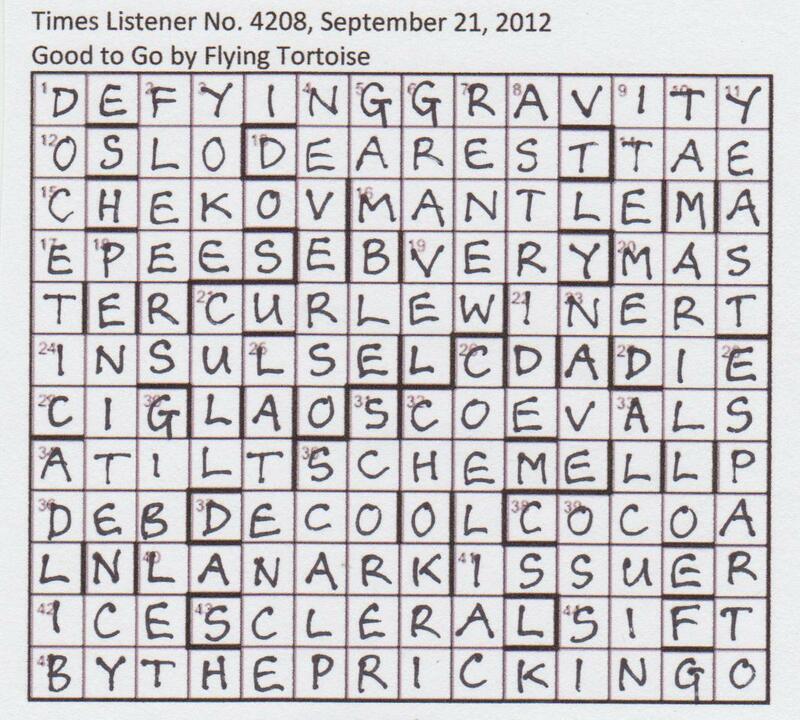 This was certainly our fastest grid fill ever as we had all but our last three clues in just about thirty minutes. This can only bode ill. We must be due for a real stinker – I hope somebody has tied Sabre’s right arm behind his back and banned all references to Klein bottles, graphs on tori and the like in Listener crosswords. “The left-handed piano player, of course! Brother of Ludwig. While the other numpty slotted solutions in as fast as he could write, I did a quick visit to Wikipedia and, of course, produced all the composers who wrote for him, at his request. We were clearly told that the loss of RIGHT was something ‘evidently not affecting the group of four’ and we had enough letters to slot in (with their right arms intact) STRAUSS, RAVEL, PROKOFIEV and BRITTEN. The rest was a gift. We were solving so fast that I didn’t even have time to hunt for the usual Listener setter boozy stuff, just some tea in there and, oh dear, somebody dropping old trousers. So there we were: a full grid but a little bit of head-scratching about some of the wordplay. SPI[R]AL seemed to be our answer for ‘Wind, from the east, almost drops ball into round one (5)’ but, even though we play golf, it took us a while to work out that A (one) was to go into LIPS (nearly drops ball into), heading east. And I still don’t understand the wordplay of OFF-COLOU[R]ED, ‘Description of inferior diamond: “ice” South African man initially extracted in winter? (10)’ Perhaps Dave will explain it in his blog. What was left? That strange instruction that ‘Solvers must highlight the letters of Xs first name where they appear closest together (ie, the average distance between any two being minimised).’ What was the purpose of this? 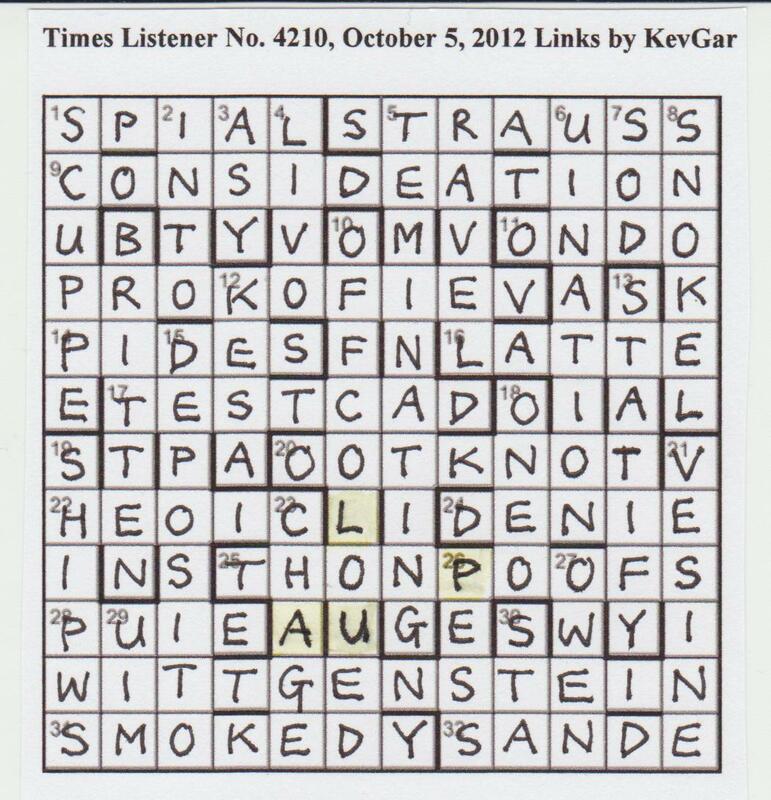 Did anyone think you could solve this puzzle without realising that it was the left-armed Paul the pianist and not the philosopher, Ludwig, that we were dealing with? The mathematical numpty explained to me that in a total of 6 Ps, 10 As, 4 Us and 4 Ls, we immediately have 960 choices to make PAUL. There are six distances to compute for each arrangement of Paul (4C2) so a major computation is involved in proving one has the closest set. I got my ruler out and measured what seemed to me to be the two most likely candidates. (Surely the total distance of the six relevant measurements is exactly analagous to the average distance between any two. I hope so anyway.) The PAUL in the top corner added up to 16cms, while the one in the lower centre of the grid came to 12cms. He does say ‘any two’, so we are totting up six measurements for any set (PA, AU, UL, PU, PL, AL – not just PA, AU and UL). 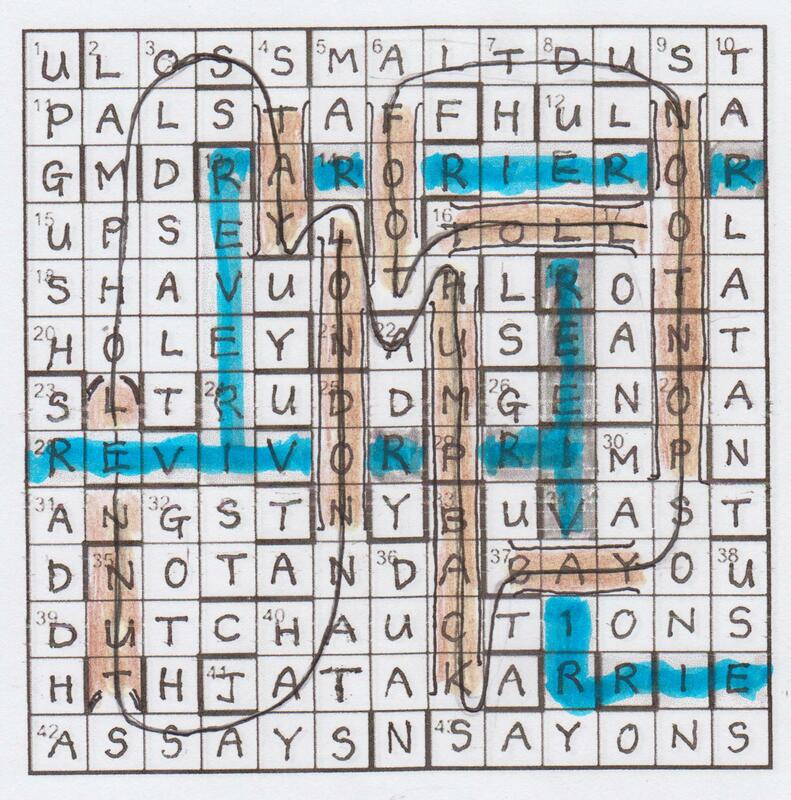 No, I refuse to work out the other 958 combinations of the four letters! I’ll just highlight that set of four letters with no idea what it has to do with the theme. A bit of a shame after such a light-hearted fill. Thank you KevGar. A gentle romp. 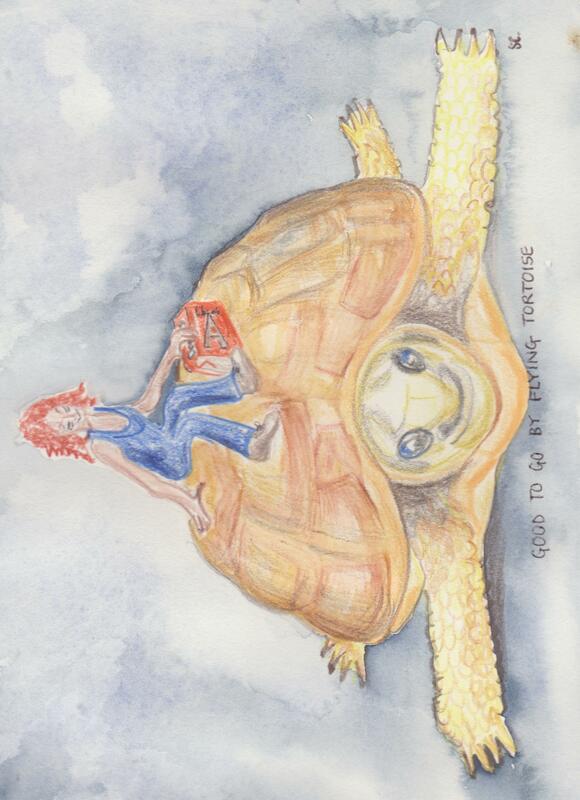 ‘Good to Go’ and opting for a ride on the back of a tortoise. No, but seriously, we did wonder, right from the start, whether G or Good was somehow going to go. Of course, the endgame demonstrated that that was, indeed, the case as we added a G to ‘Key pitch robin[G] trills’ to anagram and complete those familiar words (I played the third witch once and know that Macbeth scene by heart “By the pricking of my thumbs/ Something wicked this way comes”). We had been marking clues where the wordplay didn’t quite make sense as our speedy solve progressed and were now able to understand clues like ‘Distributer provides work for Jud[G]e apparently’ (ISSUER), and ‘Fizzy cola with ice for the ca[G]y diner’ (COELIAC) – a bit vague, that one, I would say. 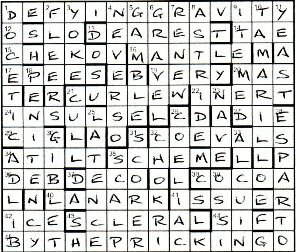 It was one of those nine clues that had to have extra letters added that gave us the confirmation of the G thing. ‘Lances, furtively stolen from kin, hiding in sediment’ There seemed to be two Gs missing from that clue, as LEERS was the obvious solution and they are GLANCES, but we also needed the KIN to become KIN[G] to produce the R that was to go into sediment (LEES). There wasn’t much of the usual Listener oenophilia in Good to Go so I shall have to go and cook dinner and drink a toast to this fine little compilation that had not a single misprint, no clashes, no carte blanche, no jumbles. 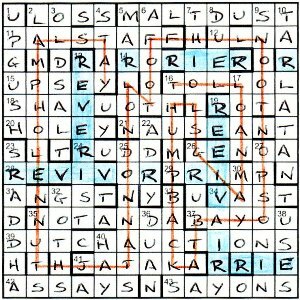 It provided all the enjoyment we look for in a crossword solve.